As much as I dearly love camping in the Casita, at times I truly miss backpacking and primitive camping. I’ve enjoyed making a lot of stoves over the years, from hobo stoves to tuna can stoves to various alcohol stoves. I fell out of love with alcohol stoves while hiking back in 2003 when I was caught in a surprise snowstorm. The wind was whipping, I was freezing, and was trying to get water to boil for hot chocolate. Normally 3/4 ounce of alcohol would bring my little .7 liter titanium pot full of water to a rolling boil in 5 or 6 minutes. But since I didn’t have a decent windscreen for my stove, I used up 4 ounces of my precious alcohol fuel and the water was nowhere near boiling. 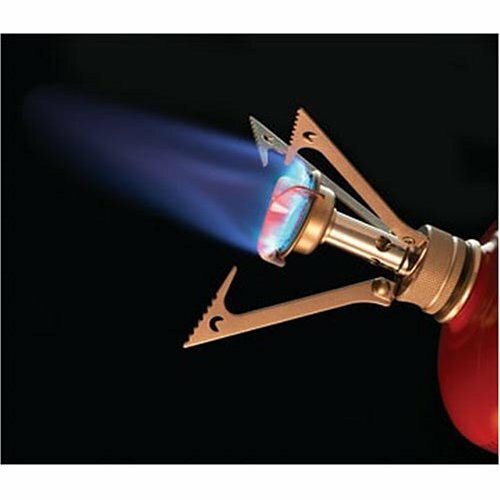 A couple of days later I stopped into an outfitter’s and bought a Pocket Rocket stove… and it’s jet-like blast of high pressure isobutane fuel assured me of boiling water on demand. But I hated having to worry about where I’d be able to find my next (expensive) canister of fuel. 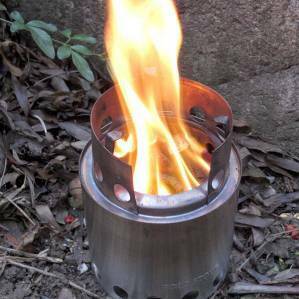 I was lurking at a hiking forum the other day, vicariously reliving the good old days, when I saw a new-to-me hiking stove mentioned. It’s heavy for a backpacking stove — 9 ounces. BUT you need NO FUEL since it burns sticks and twigs. And in the East, that means a limitless amount of fuel is always available — free! (Add an Esbit tablet, piece of wax, or Wet Tinder to get wet wood going.) It has a fire grate up above a raised solid stainless steel bottom so you don’t leave any trace of your fire on the ground. In fact, you can set it on a piece of paper while you are cooking and the paper won’t scorch. And it burns so completely that all that is left is white ash. 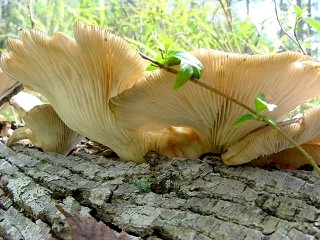 This is the only photo I have left from one of my hiking-foraging trips. These are ingredients to a lunch soup, which includes oyster mushrooms. 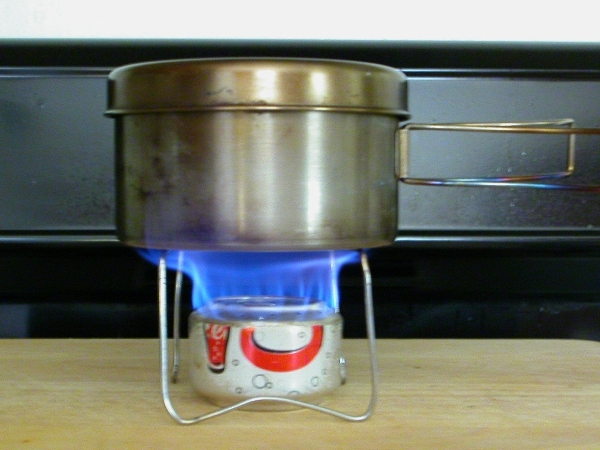 So I’ve got the Solo Stove in my Amazon cart…. until I can talk some sense into myself and delete it as the unnecessary item it is. But man! What a COOL TOY!!!! 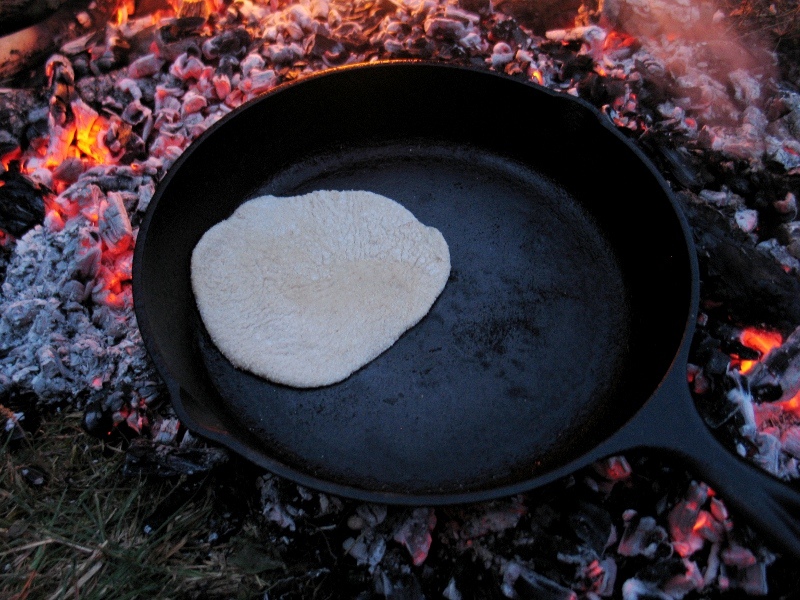 Primitive bread (like chapitas) with no yeast and no oven. I had learning to do primitive cooking over coals. Cooking directly over a fire gives you very little control over the heat — and it coats your pots and pans with a nasty layer of soot. But I learned that if I built a small fire and let it burn until I got a good bed of coals, then moved the fire over with a couple of sticks exposing the coals, that I had a perfect outdoor “stove.” A pan placed in the center of the coal bed would get very hot and quickly bring water to a furious boil. Move the pot out from the center and I’d have medium heat. And if I wanted a simmer, I just moved my pot to the edge of the coals. And when you cook on coals instead of over fire, you get NO SOOT on your pan! Thinking about building campfires and cooking over them naturally led to reminiscing about our adventures with wild edibles. 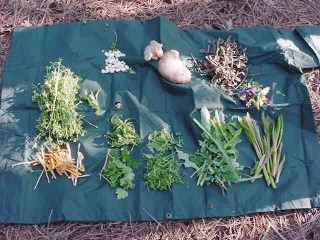 I got interested in studying wild foods in the late 1990’s. It took a few years to become proficient at being able to make decent meals from foraged ingredients. Then I started getting bored with roots and veggies, nuts and berries, so decided that wild mushrooms would add a nice touch to my wild meals. So I plunged into intensive mushroom study. 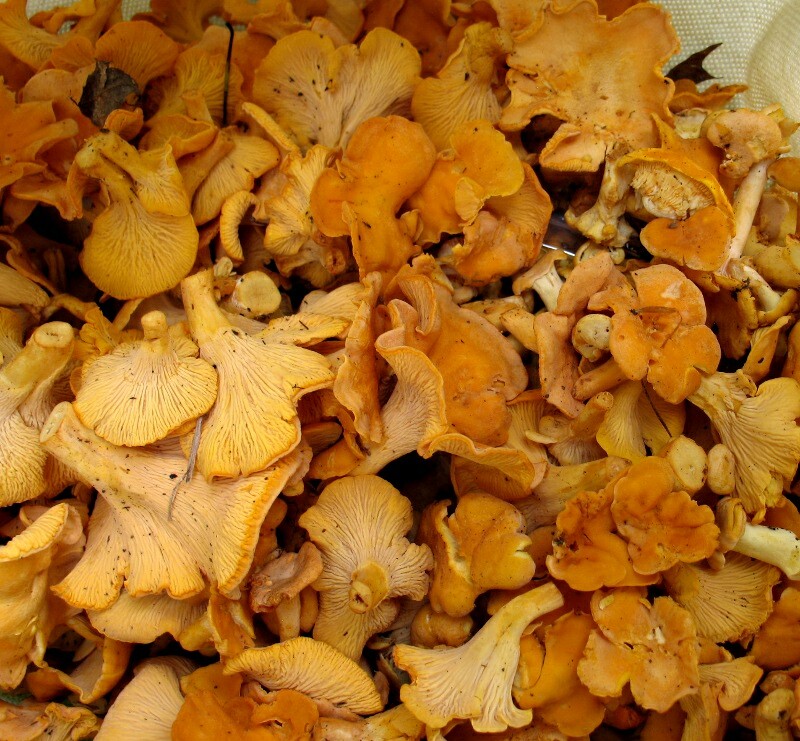 I was very fortunate in that David Fischer, author of Edible Wild Mushrooms of North America, was extremely approachable by email and cheerfully helped me positively identify photos of my earlier finds before I dared to eat them. I used to like to hike out into a national forest with no food except salt, sugar, coffee, tea and a small bottle of olive oil, and eat only what I could forage. The first day was always a little scary, but after that I would just keep finding good things to eat so the problem would be to not gather so much that it would be wasted. 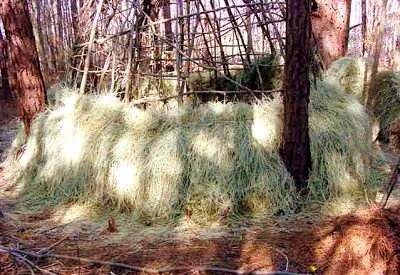 I did discover that for long term survival, one would need a small community to divide the chores of hunting, foraging plants, preparing and preserving food for the winter, gathering firewood and materials. And I doubt one would survive too long out there without necessary medical care. But it was very reassuring to learn that I could make it through short range disaster situations by myself. I think that what has made all of those experiences resurge in my memory is the knowledge that, due to health problems, I won’t ever be able to backpack again. I guess that’s something everyone has to come to grips with as they age. Some of the good times are forever gone. But it has reminded me that even if I can’t climb mountains or backpack anymore, I can still get out, build a campfire, and relish the satisfaction of being self-sufficient enough to cook without all the modern trappings of society. And, in doing so, to capture a little of what our ancestors must have felt as they went about their daily affairs.